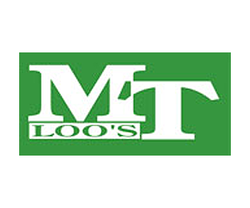 MT Loo’s are a UK based provider of portable toilet hire, with coverage centred in and around Buckinghamshire, Hertfordshire, Bedfordshire, Oxfordshire, Middlesex, Berkshire and North West London. We can provide portable toilet amenities for short or long term hire to suit any occasion, including corporate events, construction and industrial work sites and other temporary locations. Attention to detail is our priority. When your company's image is in the limelight and everything must run smoothly, you need the basics to be cared for reliably and without fuss. MT Loo's can be counted on to provide smart, clean, discreet portable toilet hire units in the right place at the right time with reliable delivery, prompt service, weekly cleaning and personal attention. All units include hand cleansing or washing facilities, and have air vents and translucent roofs. Our representatives will be happy to advise about the number of units and where they can be positioned for your site - you can rely on us entirely.